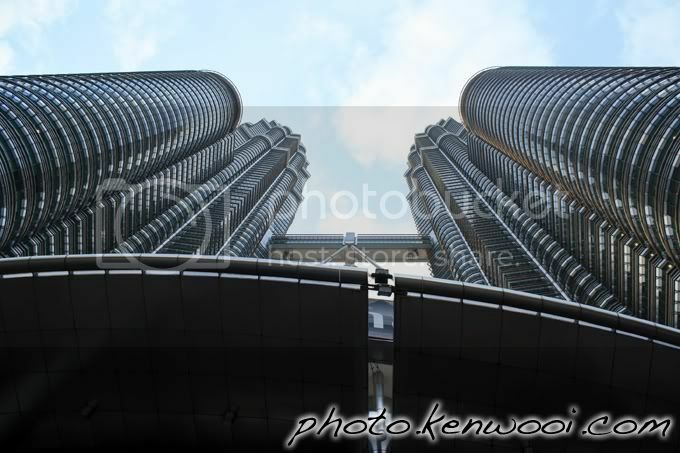 The view from the bottom of the magnificent structure in Malaysia, the Petronas Twin Towers. Located at the heart of Kuala Lumpur, the twin towers has become an iconic symbol and landmark for the country. Nice view from the bottom of this majestic building.